The Central Intelligence Agency secretly removed classified documents from a computer system used by Congress, Senator Dianne Feinstein (D-California) said Tuesday morning, and may have violated the United States Constitution as a result. Feinstein — the chair of the United States Senate Intelligence Committee — critiqued the CIA’s supposed conduct on the floor of the US Capitol Building early Tuesday in Washington, DC, and said that the agency’s alleged actions may have violated the constitutional principle of congressional oversight, as well as both the Fourth Amendment and a presidential executive order that prohibits the CIA from engaging in domestic search and surveillance. 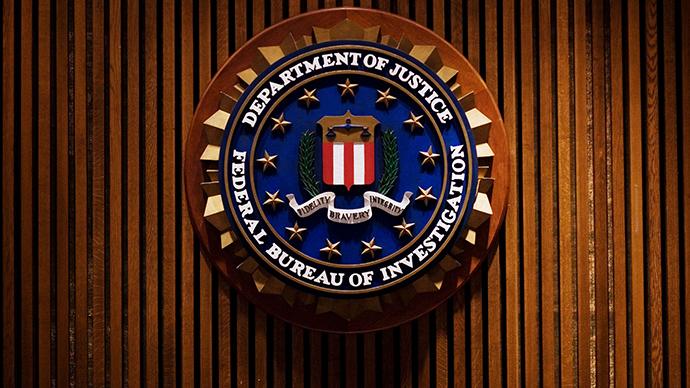 The chairperson’s unexpected remarks early Tuesday came amid multiple requests for the Department of Justice to investigate allegations of misconduct between the chairperson’s panel and the secretive spy agency. According to the Associated Press, Sen. Feinstein said the CIA improperly searched a stand-alone computer network at the agency’s Langley, Virginia headquarters that was put in place so that Intelligence Committee staffers could view sensitive documents. As RT reported earlier, the CIA and Senate Intelligence Committee has been at odds in recent weeks after congressional staffers were accused of removing a draft document without authorization from the Northern Virginia facility while at work on an investigation pertaining to the agency’s use of so-called enhanced interrogation techniques during the George W. Bush administration. The Senate committee finished their 6,300-page, $40 million study on the CIA’s torture program in late 2012, but the agency has yet to approve of a completed draft. Previously, the CIA said someone affiliated with the Senate’s investigation took a document in violation of a user agreement between both parties. Members of Congress fired back, however, and accused the CIA of spying on Senate staffers in order to make such a determination. 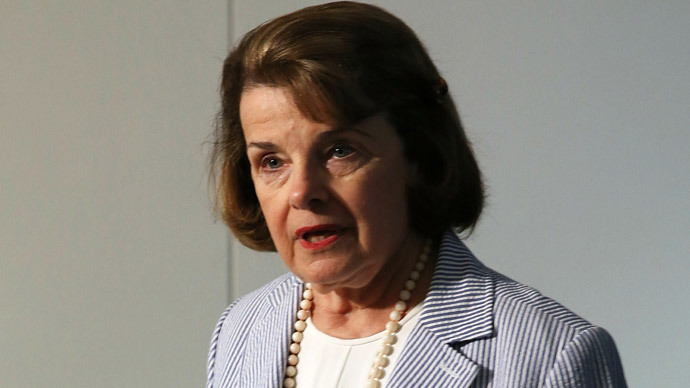 “I am not taking it lightly,” Feinstein said. "There is no one who has more courage and conviction than Dianne Feinstein,” added Senate Majority Leader Harry M. Reid (D-Nevada). John Brennan, the current director of the CIA, spoke of the scandal during a previously-scheduled discussion at the Council on Foreign Relations later Tuesday morning. “[W]e are not in any way shape or form trying to thwart” the release of the torture report, Brennan said. Shortly after, White House press secretary Jay Carney said during a news briefing that Pres. Barack Obama "has great confidence in John Brennan and confidence in our intelligence community and in our professionals at the CIA."